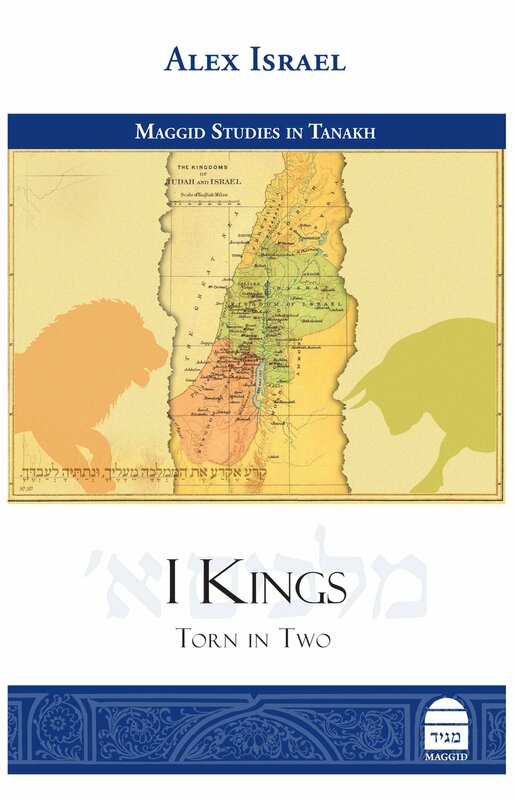 Rabbi Alex Israel’s I Kings: Torn In Two is a book born out of teaching. In the introduction, Israel discusses the way the book developed over the course of years of his teaching the book of Kings in various settings. Consequently, I Kings is not a commentary on the biblical text so much as a companion to it. It does not go through each line of the text explaining difficulties and ambiguities. Instead, it follows each chapter and explains it simply and clearly. It gives a basic familiarity with the story, with what is happening in the biblical text, and with the characters that populate the narratives. Throughout the chapters it also develops and points out the various themes of the book of Kings, often through discussions of apparent textual problems. As such, I Kings is not just a great companion volume for the casual reader of Tanakh, but also for a teacher looking for insights for her classroom (notably, there’s a fantastic index of study questions for engaging students with the text). More even than it quotes from the biblical book of Chronicles, I Kings quotes heavily from rabbinic literature. Israel’s approach is self-conscious about having “one eye on Ḥazal” and trying to create “a dialogue between the text and the sages.” Israel reads rabbinic texts of all genres, from aggadot (rabbinic stories) to textual commentaries, as if they were commentaries on the text. He looks to find the basis for their statements, no matter how outlandish, within a careful reading of the biblical text. Moreover, he reads the rabbinic texts in light of the biblical text, which can paint them in a different light than how one might otherwise read them. Finally Israel’s I Kings asks what lies behind the rabbinic understandings of the biblical text, what were they trying to teach us, and, perhaps more poignantly, what did they see the biblical text as trying to teach us.